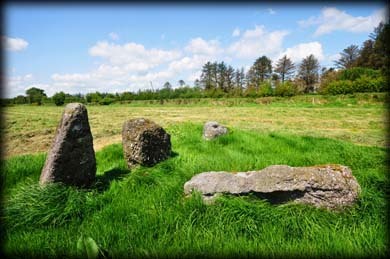 After viewing the ogham stones at the nearby Seskinan church I just had to see this three stone alignment. These conglomerate stones are aligned NE-SW. 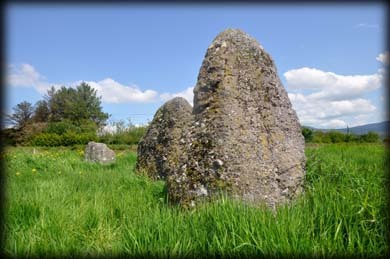 The stones decrease in height from tallest SW stone, which stands 1.6 metres high to the 0.65 metre high NE stone. 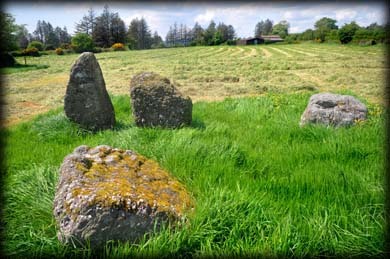 The central stone stands 1.25m high. 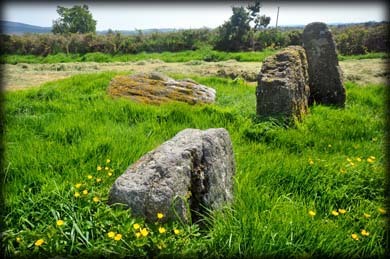 A fourth stone lies prostrate to the south of the row. The stone was moved to this position so may have been a possible outlier. 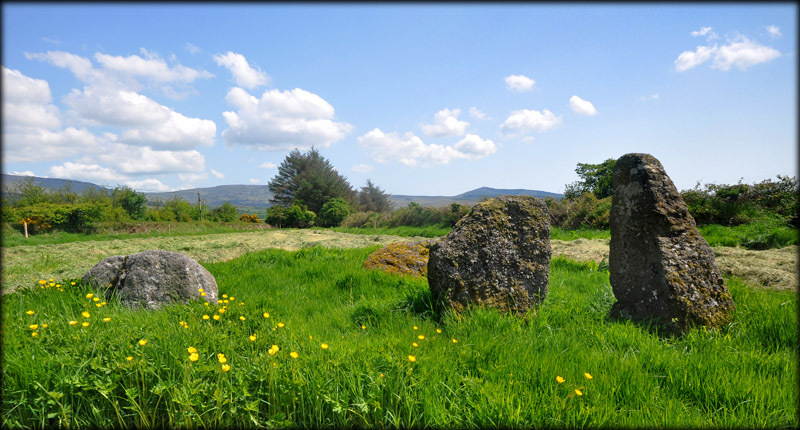 The row stood in a, no longer visible, enclosure known as 'Lios na dTrí gCloch'. A large embanked enclosure lies c. 80 metres to the WSW of the row. Situated: From Dungarvan head north on the R672. Go about 10 kilometres take a right L511 signposted Knockboy. Then take the third right. The stone row is approx 750 metres down here on your right. Discovery Map 82: S 2183 0525. Last visit May 2016.